In the beginning there was CompuServe. This commercial online service developed the GiF as a file format that compressed large color images down to manageable sizes which could be downloaded within an acceptable amount of time. The GiF uses a color gamut of 256 bytes which now days does not render as well as the JPeG., although the GiF makes up for this by being able to store multiple images in a single file with control data. This allows for the production of basic animation. GiFs can store low-color sprite data for simple on-line games. Flash became the default motion graphic platform of choice in the past decade, but as Search Engine Optimization (SEO) concerns have become more established the use of Flash has seen a leveling of use. This is primarily due to the inability to tag graphic elements with search “hooks”. Flash also has performance issues with the “iTechnology” from Apple. The old reliable animated GiF (ani-gif) may just be on its second world wide tour. The use of ani-gifs were put aside when Flash muscled in, but things are returning to the basics. Ani-Gifs are generally smaller, easy to load and can be read by any browser compared to the Flash graphic. Best of all ani-gifs can be seen and utilized by the search bots. So what is an ani-gifs …? Each ani-gif is composed of at least (2) events. A single line of text could change over time. A series of words might be added to make a complete sentence. A series of sentences might be added to make a complete statement. Colored backgrounds may change to lend attraction. A specific element may change in color to enhance appearance. The main imagery may change from greyscale to color to give attitude. Glowing outlines to create excitement. Pulsing movement to emulate desire. A flashing light to cause seizures in the user. A single element might grow in size to represent growth. Elements might increase in size so as to appear to be moving at the user. Elements may fluctuate in size to create a popping action. To trick the eye into seeing linear movement. Great, so how is an ani-gif created …? For purposes in this class we will focus on the Frame Animation Process. Using the TimeLine feature in Photoshop we can create some fun eye candy and not so fun call-to-action banners with simple layer changes. Complete the statement “This [current quarter] I…“. Each event should be on a separate layer. Collect at least (4) images which express an idea about the current quarter (see above for examples). 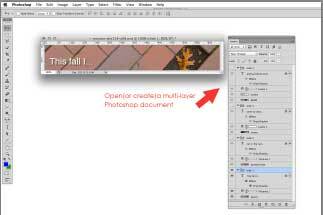 Construct a PSD that uses proper Layer organization to build an animation. Create a (1) graphic layer then add some (2) text. Select both layers click on the (3) New Group icon at the bottom of the Layer panel. This will make a group folder of the two layers. Create a (1) graphic layer then add some (2) text. 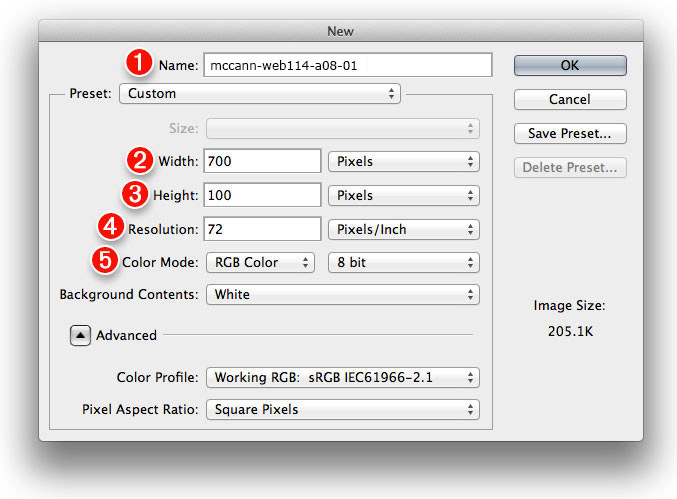 Select both layers and drag down to the (3) New Group icon at the bottom of the Layer panel. This will make a (4) group folder of the two layers: name it (4) slide 1. Drag the newly named (4) group down to the (5) New Layer icon at the bottom of the Layer panel. This will make another (6) group folder: name it (6) slide 2. 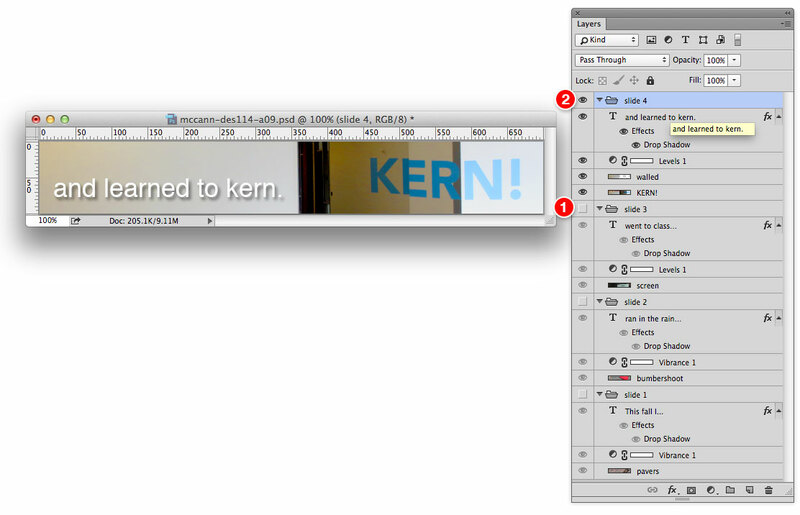 Delete the copied graphic layer and add a new (1) graphic layer then edit the (2) text. (1) Repeat duplicating group folders, changing graphic layers and editing text until you have at least (2) four slide groups.